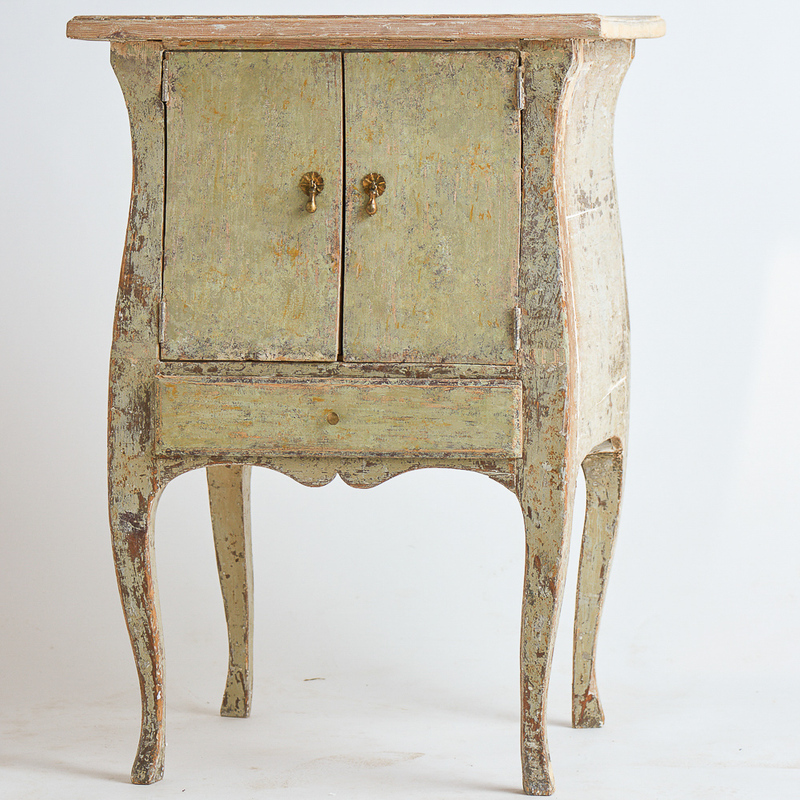 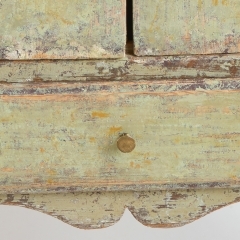 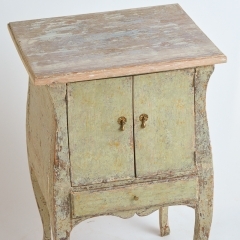 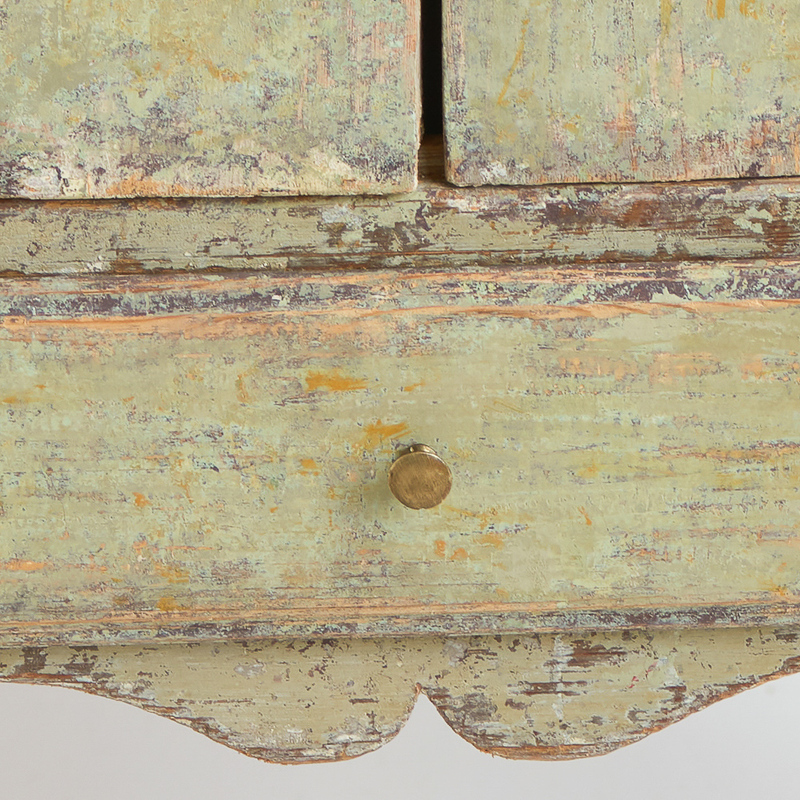 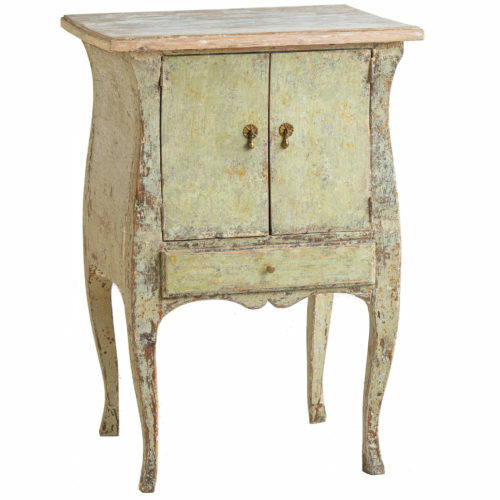 This charming cabinet is a very hard to find piece. 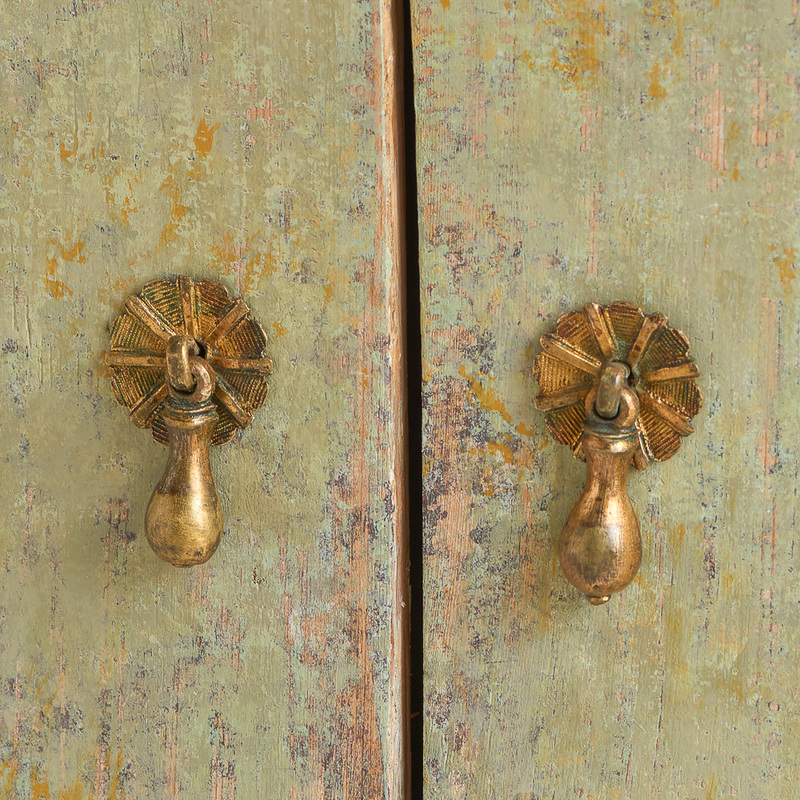 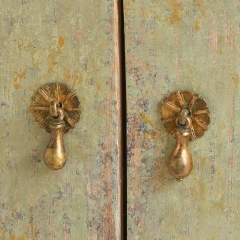 It retains the original green paint surface and has two doors opened by pulls typical of the period. 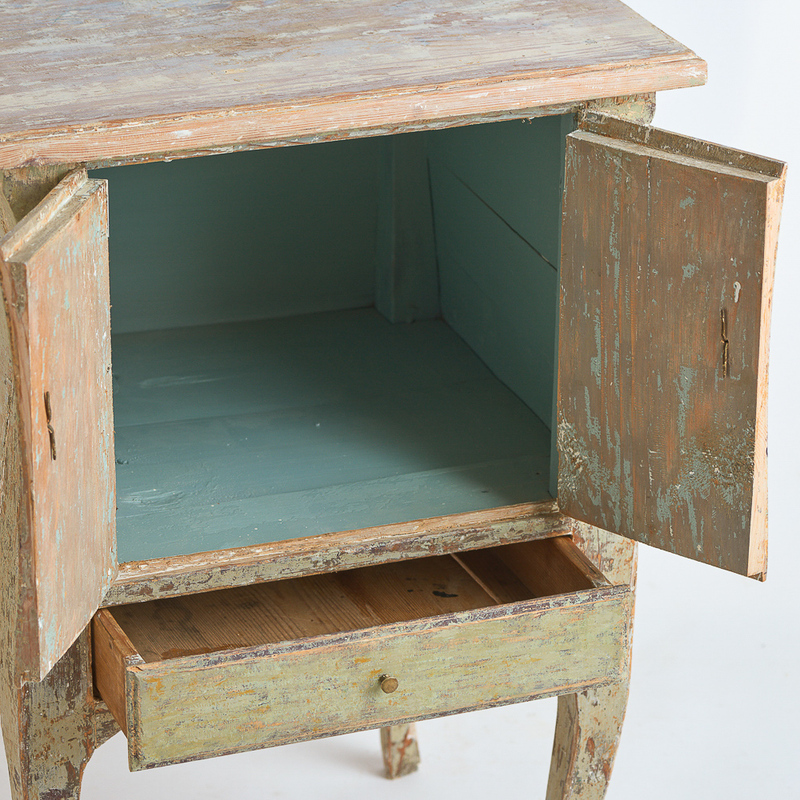 The interior provides room for lots of storage. 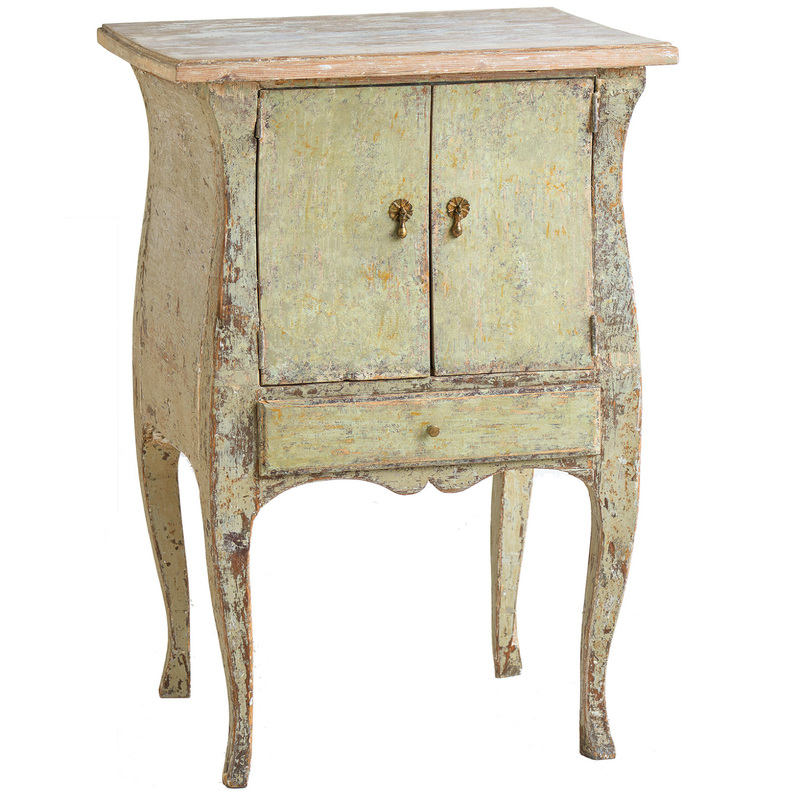 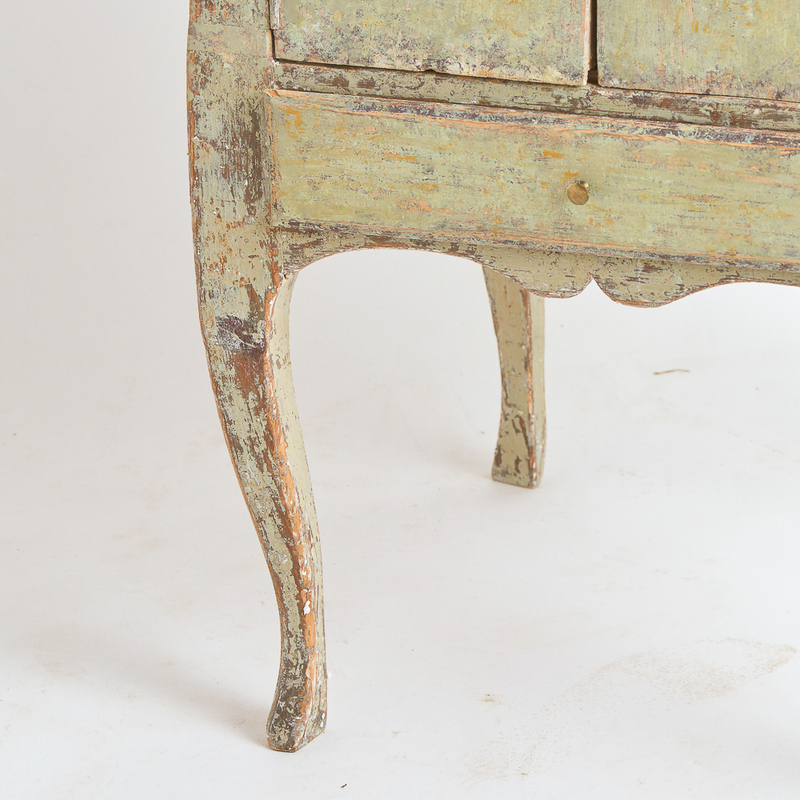 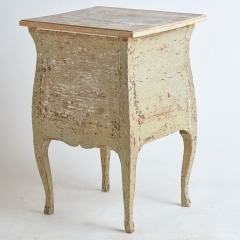 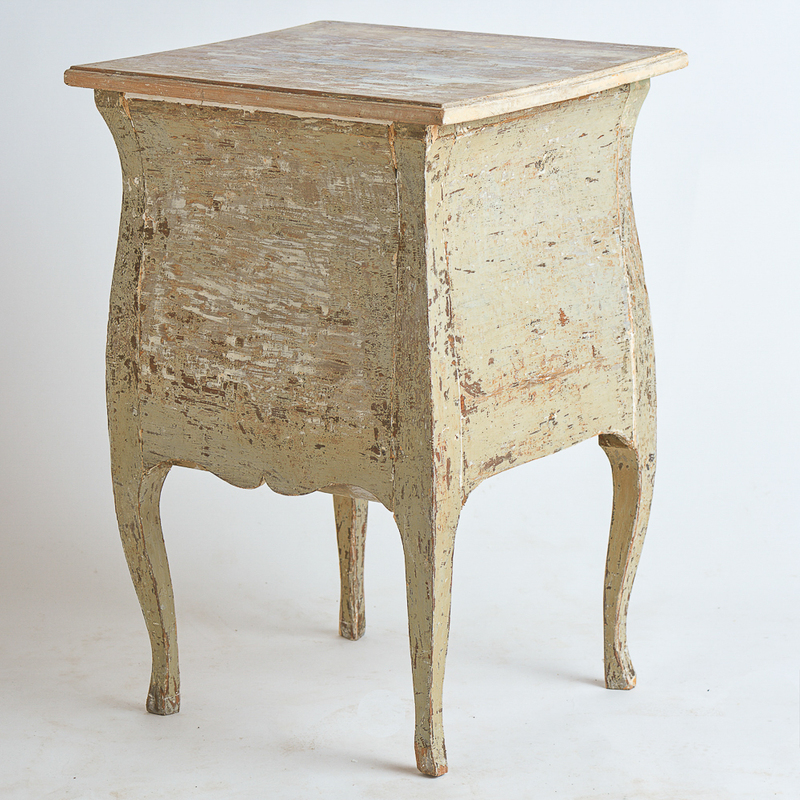 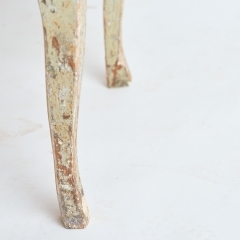 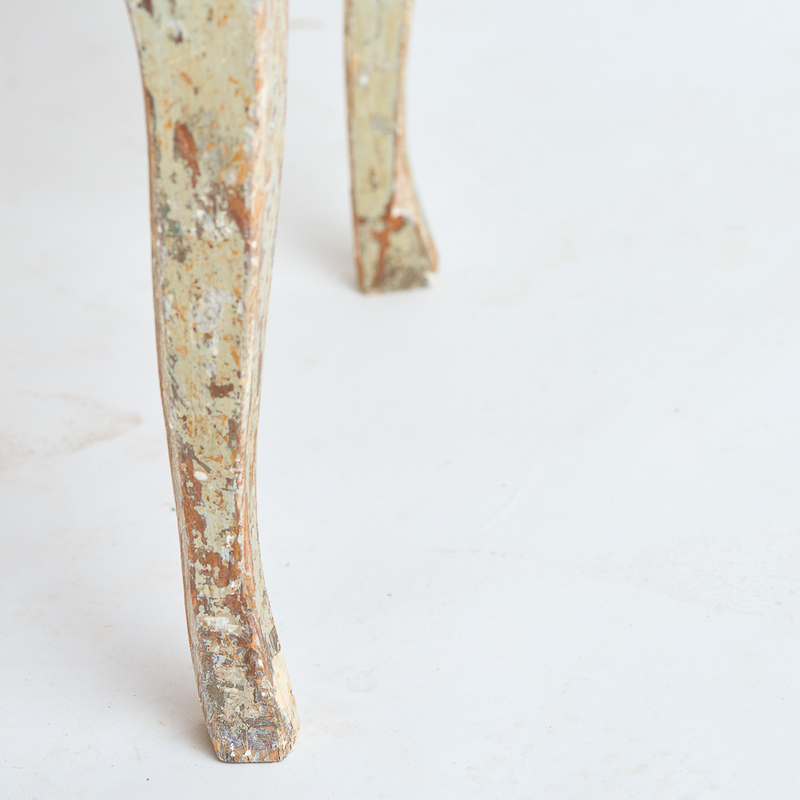 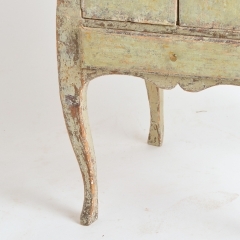 The curved legs and body shape are typical of the Rococo Style. There is a narrow drawer at the very bottom. 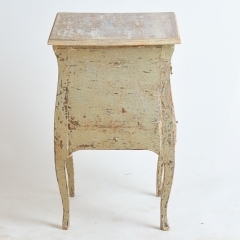 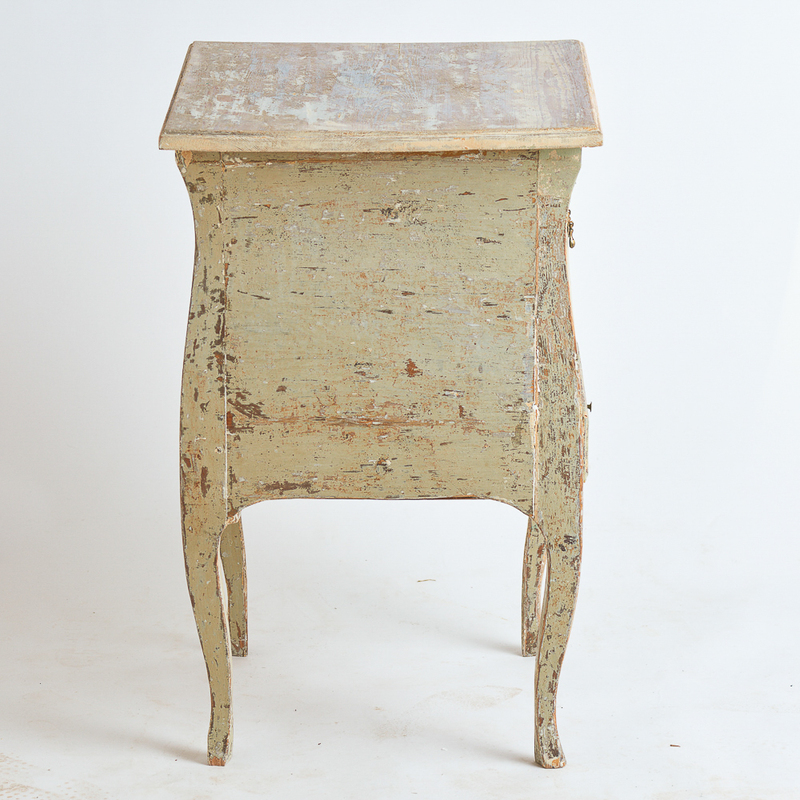 A useful piece as a bedside table or occasional table.